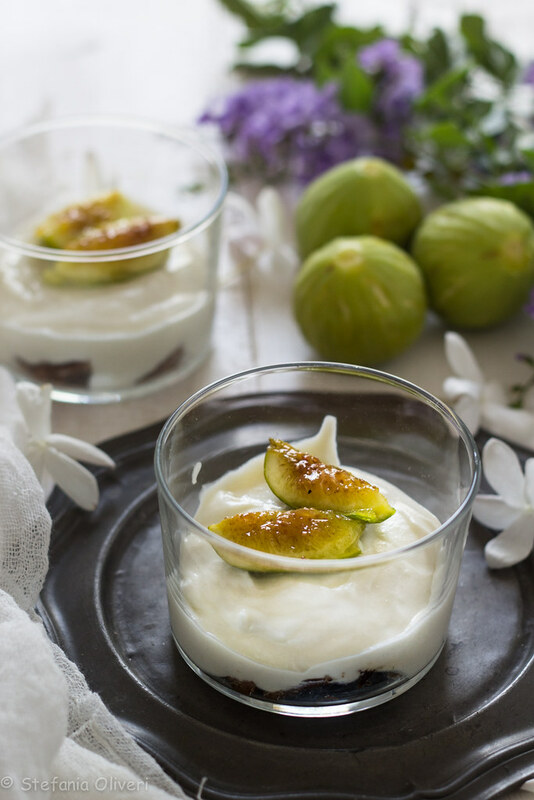 RICOTTA AND FIGS MOUSSE - Cardamomo & Co. 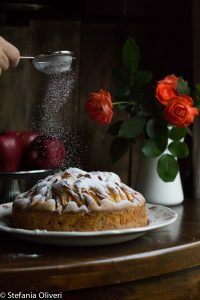 I don’t know if you noticed, but very often in blogs, appearance is more important than the recipe itself. For example I often stumble in super basic recipes, with stunning photos, and with a super complicated caption like it was the declaration of independence or something. 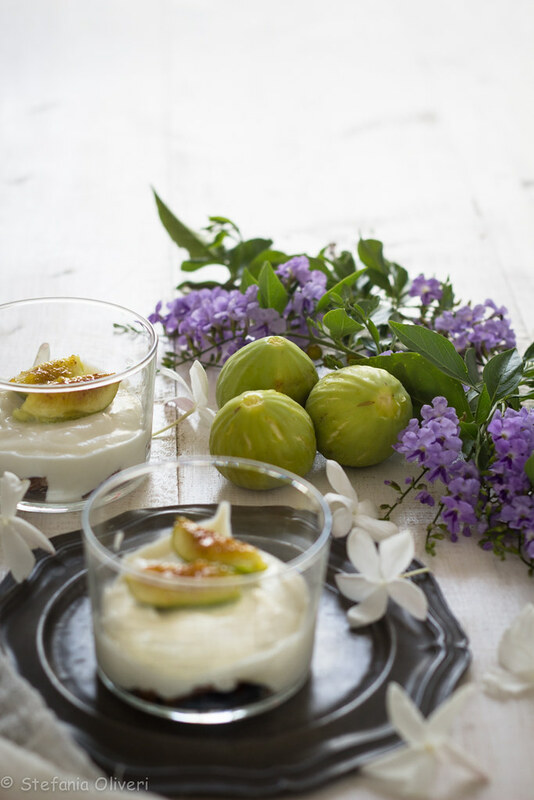 What all of this has to with this gluten free ricotta and figs mousse? Let me explain. Basic salads treated as if they were Gods of Cuisine. And we food bloggers, hype this kind of people by commenting cheesy stuff like “amazing sweetie” or “how did you do it gurl it looks difficult, but yummy!”, it’s time to stop. So in our feeds, we constantly see: weird types of carrots that are of the color of rainbow (because the orange ones are for the poor), Toasts with fruit and fricking avocados (like gurl we know you’re just doing it for instagram and you ain’t eating that), smoothies with fresh fruit (and veggies like why??????) and the poached egg gosh how I hate seeing that thing on my feed. Like don’t get me wrong, i like this things too, but if i fed this to my family, well they wouldn’t be happy…at all…they would eat me…I’m not joking…save me. And I know I’m not the Great Wise Master of the Cuisine, but this aren’t recipes, this ain’t nothing. So today I prepared an easy, recipe that you can do at home, for your kids, husband, wife or even for yourself. I know this ain’t a big recipe, and that will not have the recognition it deserves, and I will not have any comments like the ones i mentioned before but it’s okay, because my family enjoyed it and that’s what’s important (just kidding i need the attention). So this recipe has as base this cake, that I did at the same time of this dessert, but my dumbass forgot to take a photo, anyways since my children like to taste a bit of everything I make (and i had to take the said cake to a party), i made this dessert with the leftovers of that cake (i know imma genius) that is like a ant sized version of that magnificent cake. Chestnuts (in the base of the cake), ricotta and figs is amazing, but if you want you can use another cake ad a base like Spongecake (if so drown the spongecake in liquor). If figs are not in season, in that moment, just use other fruit. 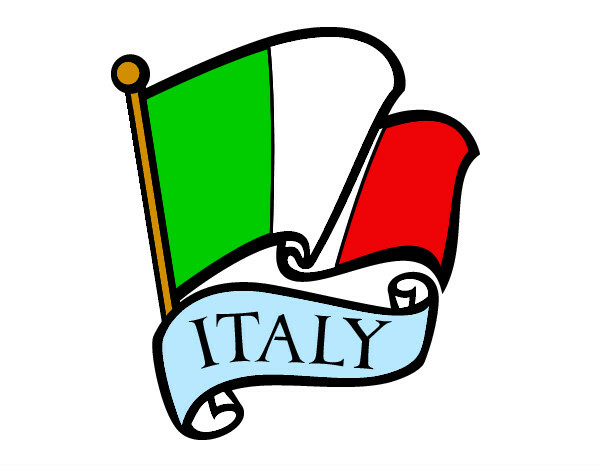 I borrowed this recipe from La cucina spontanea. the Mousse has to be put in the fridge till it’s served, preserve for 4 days before eating. Prepare the cake as I explain HERE and let it cool down before using it. 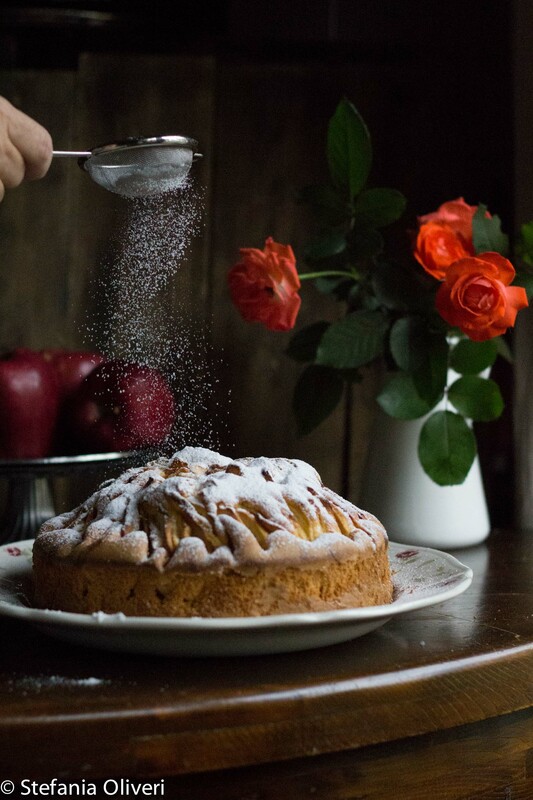 Mix the ricotta and the icing sugar and stir well. Put in every glass a bit of cake put some liquor in, put the mousse and then put them in the fridge. 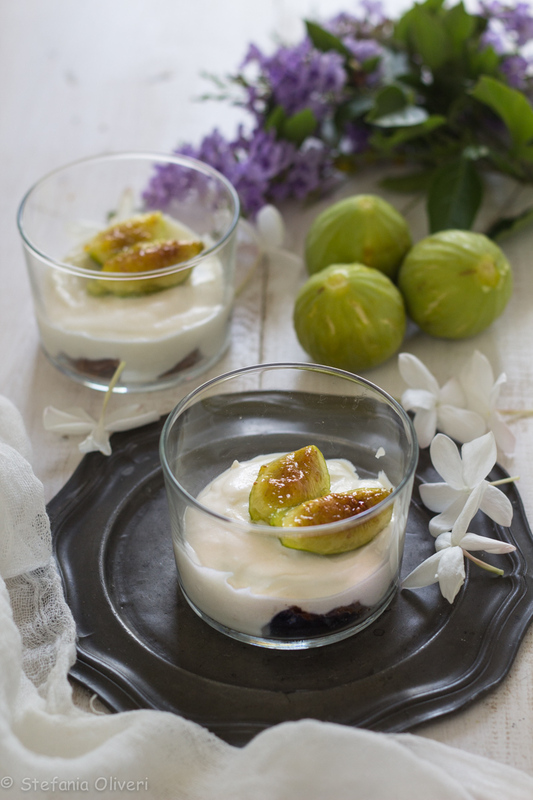 Wash the figs and then slice them, wither them in the pan and tinge it with the passito, then put them in every glass on the mousse.